At the end of Season 7A, the girls were locked in a horror house by Noel Kahn and Jenny Marshall. Noel gets decapitated (R.I.P.) and Jenna corners Spencer into a room at gunpoint. Spencer is not only shot, but Allison’s crazy aunt Mary Drake comes out of the shadows to tell Spencer she is her real mom. Say what?! And then Jenna gets abducted by A.D. and is not seen again. A week later, Spencer is recovering from her gunshot wound and no one really knows who actually shot her. The girls assume it’s Jenna, but the police said Jenna’s gun left at the crime scene doesn’t match Spencer’s wound. Ali is dealing with being a pregnant widow (well, the Liars did kill her psycho husband), while Aria is grappling with the fact her Ezra’s thought-to-be-dead fiance was found in the Amazonian jungle after many years. While Ezra is dealing with Nicole’s re-emergence, Aria is off trying to plan their wedding. Sounds fun! In happy news, Emily is Rosewood High’s new head swim coach, while Hanna is happy starting up her fashion line and being back with Caleb. Yay love! While everyone is trying to put their life back together, Spencer, more than anyone, A.D. leaves the girls a Juamnji-esq present called, Liar’s Lament. Each lucky Liar gets a figurine that moves around a mini Rosewood, like a scary game of Life. The Liars decide not to play the game, but we know their interest will be piqued at some point. Veronica Hastings finally arrives home from Europe because apparently Spencer getting shot a week prior wasn’t reason enough to cut a trip short. Spencer confronts her about Mary’s claims and her mother comes clean. Veronica tells Spencer about her father’s one-time affair with Mary. He originally thought Mary was her twin sister, Jessica DiLaurentis (don’t forget Ali’s brother Jason is also Spencer’s half-brother thanks to Mr. Hastings’ earlier infidelity with Jessica). When Veronica found out about Mary’s pregnancy, she didn’t want the child to grow up in Radley’s insane asylum where Mary was being treated. Spencer, not wanting to hear anymore, runs back to the barn where the game sits. Ignoring the ‘don’t play the game’ agreement, Spencer gives in and plays. The words ‘Truth or Dare’ appear on the iPhone in the middle of the game and Spencer being Spencer, she chooses “Dare”. “Visit a sick friend. Get a reward,” the screen reads, showing a picture of Toby’s face. The same night Spencer was shot, Toby got into a car accident and the two haven’t spoken since. She does visits Toby and they have a nice moment but nothing really comes of the visit. When Spencer returns to the barn to reap her reward she receives an envelope on Radley stationary and a note written by Mary from when Spencer was born. Oh, how sweet. Mary explains why she pretended to be her sister that night with Spencer’s father. She said Jessica and the Hastingses needed to be punished but that she hopes Spencer would forgive her one day. Along with the letter was a puzzle piece that goes along with the game. This means each time the Liars play, they’ll get another piece to the A.D. puzzle. Now that’s dramatic. After waiting six years and seven seasons, these next 10 episodes can’t go quick enough because I am ready to finally know who the real A.D. is. Season 7B did a good job keeping me guessing and upping the antics. 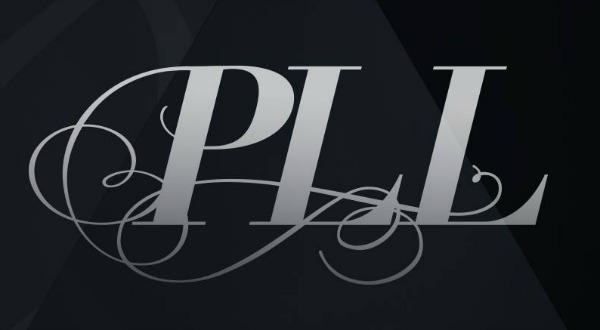 ‘Liars’ does a great job of keeping you hooked (I’ve been watching since high school and I can’t turn away) and wanting to uncover the truth. The Jumanji-like game is a good way to bring the girls into the present because a lot of their recent mind games were a little outdated. However, while Rosewood is full of dirty cops, I still believe if they came forward from the beginning they wouldn’t constantly be in this mess. But that’s just me being realistic.